Donald Noyce died on November 3, 2004, of a heart attack at the age of 81. He was born in Burlington, Iowa, on May 26, 1923. After receiving his A.B. from Grinnell College in 1944 he attended graduate school at Columbia University, receiving his M.A. in 1945 and Ph.D. in 1947 under the direction of Professor W. v. E. Doering. 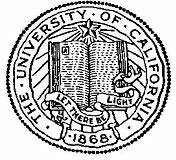 He remained with Doering for an additional year as a National Institutes of Health postdoctoral fellow before starting his academic career at the University of California, Berkeley in 1948 as an instructor in chemistry. He progressively climbed the academic ladder, becoming full professor in 1960. At Berkeley his initial research efforts dealt with the stereochemical interrelationships of some steroids and terpenes and included some cyclohexane derivatives. This work led ultimately to studies of cyclodecyl compounds and the analysis of substituent effects in their solvolysis, the role of cyclic oxonium ions in solvolysis of 4-methoxycyclohexyl compounds and one of his most-cited results, a joint paper on the first determination of the barrier to chair-chair interconversions in cyclohexane by dynamic nmr techniques. But, shortly after his arrival in Berkeley, he initiated the research program that was to become his magnum opus, the study of mechanisms of acid-catalyzed reactions important in organic synthesis. He helped to extend Hammett’s methodology of acidity functions, and coupled these with careful studies of reaction kinetics, substituent effects and isotope effects to form the principal tools in determining the transition states of these reactions. He showed, for example, that acid-catalyzed condensation reactions of carbonyl compounds, widely used to form new carbon-carbon bonds, involve the addition of a protonated carbonyl of one reactant to an enol tautomer of the other. Similarly, he established that the acid-catalyzed elimination of water from a beta-hydroxy ketone occurs via the intermediate enol tautomer. His studies also showed that the hydration of acetylenes involves rate-determining proton transfer to produce initially the vinyl cation and anticipated extensive studies by others on vinyl cation intermediates. The elimination of 1,2-diphenylethanol was shown to involve the simple benzylic cation with no evidence of a pi-complexed proton proposed by others. This same carbocation was found to be the intermediate in the acid-catalyzed cis-trans isomerization of stilbene. The similar cis-trans isomerization of cinnamic acids, however, was shown to proceed via the beta-hydroxy acid derived from hydration of the protonated carboxylic acid. Similarly, the double bond isomerization of beta gamma-unsaturated ketones to the more stable alpha, beta-isomers involves the enol formed from the protonated carbonyl group. These results and others are now textbook reaction mechanisms. During this period he was an established leader in this field of physical organic chemistry. His last research project involved quantitative solvolytic reactions of heterocyclic compounds to evaluate the ability of various ring systems to stabilize conjugated carbocations. In this work he was able to quantitatively rationalize the results with known substituent constants and by semi-empirical molecular orbital computations. During his career 46 students worked under his direction, of whom 41 received the Ph.D. degree, and he published 111 papers. Several postdoctoral scholars and visitors also worked with him. In the early 1970s, Noyce’s area of physical organic chemistry became less fashionable, in part because his work and that of others had already worked out the principal reaction sequences of many reactions in homogeneous media important to synthetic chemists. Research funding became more difficult and his research activity accordingly declined, to be replaced by teaching and administration. At one point or other Noyce taught almost all of the courses in organic chemistry offered by the department but during his last decades he was principally responsible for the large Organic Chemistry with Biological Emphasis course, known during that period as Chem 8, and taken by thousands of premedical students. He had a reputation as an excellent teacher, a good lecturer with contagious enthusiasm and clear explanations. He was an amiable person, a kind professor who treated students as people, was available, and always willing to help. He was the first recipient, in 1987, of the Donald Sterling Noyce Prize for teaching, established the year before by an endowment from his late brother Robert Noyce. Donald Noyce also was the recipient, in 1957, of a Guggenheim Fellowship. During the period from 1952 to 1981 he served as assistant and then associate dean for undergraduate affairs for the College of Chemistry in which role he organized and oversaw the advising program of the college and dealt with students deficient in scholarship. He was especially involved in relations with junior and state colleges and knew many of these teachers personally. He also served as vice chair of the Department of Chemistry, 1968-71. University service included several Academic Senate committees as well as three years on the Graduate Council and four years as the department representative to the Representative Assembly. His service to the chemical community included the chair of the California Section of the American Chemical Society and serving on its board of directors. He also served for seven years on the advisory committee of the Air Force Office of Scientific Research, three years on a study panel of the National Institutes of Health and three years on the Graduate Fellowship Committee of the National Science Foundation. 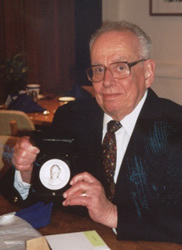 Donald Noyce received the Berkeley Citation on his retirement in 1986. He is fondly remembered by his contemporary colleagues as friendly, helpful and agreeable, a professor who always contributed his share and more to discharging department and college responsibilities. He is survived by his wife of 58 years, Bettie, and their three children, Robert, Donald and Nancy, and seven grandchildren.